Stunning new 3 & 4 bedroom homes available from £384,950. Nestled between the North Wessex Downs and the South Downs National Park, Hop Field Place in Alton enjoys a delightful Hampshire location with so much to offer for your family and for your quality of life. Forces Help to Buy* available. At Redrow we understand that buying a new home is probably one of the biggest decisions you’ll ever make. It’s a major financial commitment too. That’s why you need to make the right decision about who to buy from. 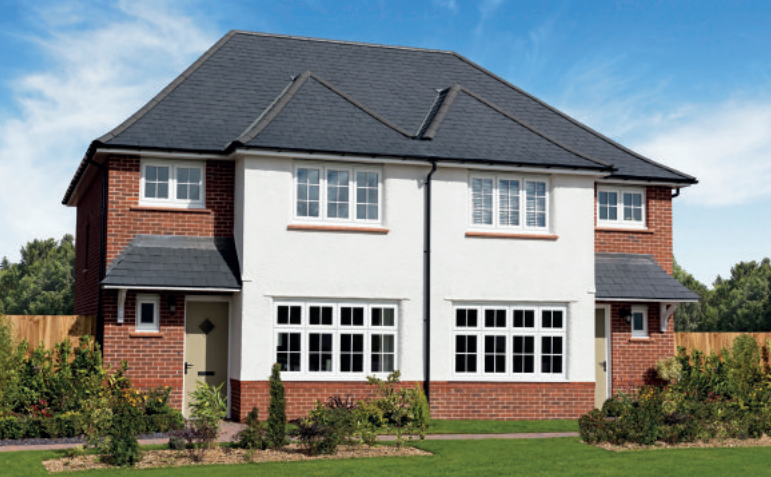 At Redrow we like to make it as easy as possible for you to buy your dream home. So, as soon as you choose to buy, we’ll provide you with your own dedicated Customer Service Team to guide you through the entire process. They’ll always be on hand to give you the best possible advice and to help take away the stress at every stage. They’ll give you all the information you could possibly need about your new home, provide regular updates on the progress of your build and keep you fully informed on the legal side of things right from reservation to completion. They’ll even help you to choose the fixtures, fittings and exciting optional extras that make a house a home! Of course, if you’d rather take more control of matters, you should sign in to My Redrow. It’s a whole new way to buy your home and it’s unique to Redrow. Join up and you can see every location and property we have on offer, choose your favourites and save them to your own list. You can make all your appointments, your reservation, handle the legal details, select your home’s décor and even order all those extra special finishing touches online – all from the comfort of your favourite armchair. You needn’t feel alone though. If you have any questions at all, just pick up the phone. Your Customer Services Team will be ready for your call. And it doesn’t end there. At Redrow we believe that Customer Service shouldn’t come to an end just because you’ve completed your purchase. We’ll be there for as long as you need us, helping in any way we can. Plus, when you move into your new Redrow home, you’ll be given a personalised ‘Homefile’ full of practical information and handy hints about every aspect of your home. It’ll be useful for years to come and also contains all the numbers to call if you’d like our help with anything. It’s our unique way of looking after our customers. And it’s another one of those personal touches that makes Redrow that little bit different. Next PostNext Why rent, when Allison Homes can help you to buy?